Amazon’s Prime Now, which offers a one-hour delivery service in Manhattan, has just extended its reach to Baltimore and Miami in the United States, meaning consumers in those areas can receive certain ordered items within 60 minutes of checking out. It’s an ambitious project from the online retail giant that has, so far, seemingly worked well, and with Baltimore and Miami now covered, paying Prime subscribers will be able to take full advantage. 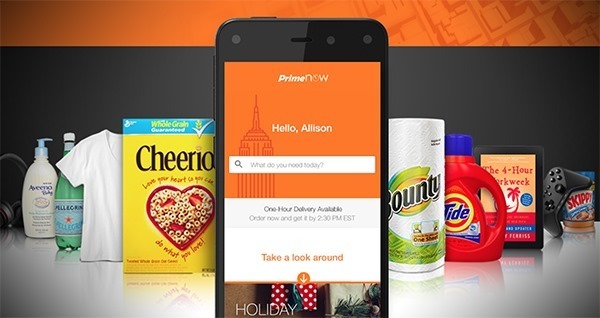 Not so long ago, Prime Now opened its doors to Manhattan, and while it’s still limited to certain products, there are many thousands of items that can be purchased and delivered within the hour bracket. The purpose of the service, aside from the obvious aspect of driving up a Prime membership, is to offer customers a way of getting the essentials more quickly, hence why you can’t just select anything Amazon sells and receive it within the hour. Instead, Prime Now is designed to cater to the more essential items, i.e those you may need urgently, and while we would hope that PlayStations and other gadgety delights may be covered in the future, for now, Prime Now mainly includes general household goods, books, and other less-appealing products to most geeks. It’s an added perk to those subbed to Amazon Prime, and since many regular Amazon users will already he paying the annual fee, many of you in Baltimore and Miami will be good to go. Those in Baltimore and Miami can order online or through dedicated iOS and Android apps, between the hours of 8 AM and 10 PM, and it runs seven days a week. It should be noted, however, that if you do need something urgently, it will set you back $7.99 for the one-hour service, and if you are willing to wait a little longer, you can instead opt for the two-hour delivery, which is completely free if you’re on Amazon Prime. It’s also worth pointing out that while Amazon Prime Now has officially launched in Baltimore and Miami, it’s only available in select ZIP codes for the time being, although will expand to cover both cities in the very near future. Will you be taking advantage of Amazon Prime Now? Share your thoughts and comments below!